What can we learn about modern Chinese history by reading a marginalized set of materials from a widely neglected period? In Republican Lens, Joan Judge retrieves and revalorizes the vital brand of commercial culture that arose in the period surrounding China’s 1911 Revolution. Dismissed by high-minded ideologues of the late 1910s and largely overlooked in subsequent scholarship, this commercial culture has only recently begun to be rehabilitated in mainland China. 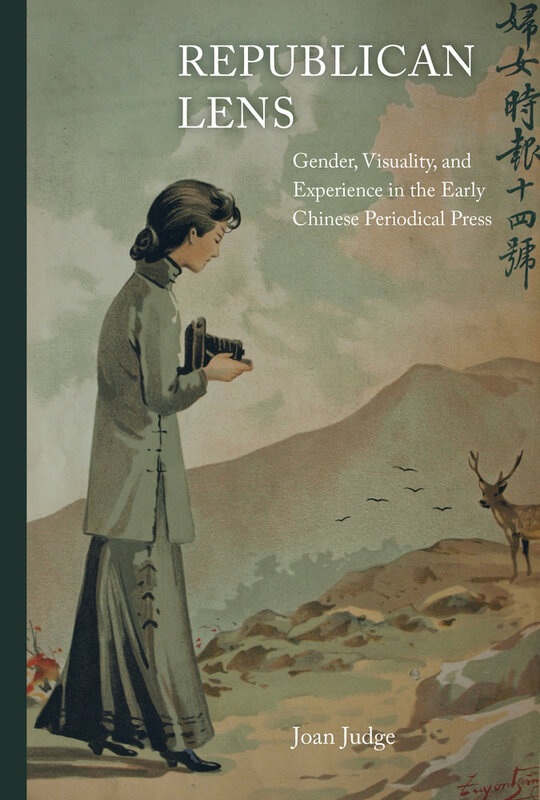 Judge uses one of its most striking, innovative—and continually mischaracterized—products, the journal Funü shibao (The women’s eastern times), as a lens onto the early years of China’s first Republic. Redeeming both the value of the medium and the significance of the era, she demonstrates the extent to which the commercial press channeled and helped constitute key epistemic and gender trends in China’s revolutionary twentieth century. The book develops a cross-genre and inter-media method for reading the periodical press and gaining access to the complexities of the past. Drawing on the full materiality of the medium, Judge reads cover art, photographs, advertisements, and poetry, editorials, essays, and readers’ columns in conjunction with and against one another, as well as in their broader print, historical and global contexts. This yields insights into fundamental tensions that governed both the journal and the early Republic. It also highlights processes central to the arc of twentieth-century knowledge culture and social change: the valorization and scientization of the notion of “experience,” the public actualization of “Republican Ladies,” and the amalgamation of “Chinese medicine” and scientific biomedicine. It further revives the journal’s editors, authors, medical experts, artists, and, most notably, its little known female contributors. Republican Lens captures the ingenuity of a journal that captures the chaotic potentialities within China’s early Republic and its global twentieth century. Joan Judge is Professor at York University. She is the author of The Precious Raft of History: The Past, the West, and the Woman Question in China and Print and Politics: ‘Shibao’ and the Culture of Reform in Late Qing China.